Consisting of eleven countries, the diverse subcontinent of South East Asia has something to offer every type of traveller. Here are just ten great reasons to consider a trip to this part of the world. It’s possible to catch a tan all year round in most of South East Asia. The subtropical climate means that it’s always warm – even in winter it rarely dips below 17 degrees Celsius! Those that think this may be too hot can always take a brief escape into the cooler mountain regions such as Malaysia’s Cameron Highlands and Sagada in the Philippines. Cities such as Hanoi in Vietnam are also cooler (relatively speaking). Southeast Asia also has no shortage of beaches to choose from. Many of these beaches are made up of white sands and crystal clear water. There are plenty of tourist beaches that are perfect for sunbathing as well as great surfing spots. Thailand, Indonesia and the Philippines remain three of the most popular destinations when it comes to beach resorts, however countries like Vietnam and Cambodia have recently garnered their own reputation. There are new resorts springing up all the time – these can often be a great place for those wanting to avoid the crowds and have a more relaxing holiday. That said, some may prefer the buzz of famous beach destinations like Kuta and Patong. There are plenty of natural wonders to be found in South East Asia. You can climb to the peak of an active volcano, trek through the rainforests and explore huge underground caves. Indonedia’s Mount Bromo is perfect for those wanting an active adventure. Every year thousands of people climb to its peak overnight to watch the sunrise as it casts a golden glow over the surrounding mountains. It’s also possible to stare into this volcano’s crater. For those looking for a more relaxing retreat, a cruise down the Mekong river could offer just what you need. Running through Myanmar, Laos and Thailand this river offers beautiful scenic views, taking you through mountains and mangroves. You can spot all manner of exotic animals in South East Asia including tigers, elephants and water buffalo. Its shores are also popular scuba diving sites for seeing sharks, rays and turtles. On top of this, the subcontinent also has its own range of utterly unique wildlife. For example, Borneo is one of the few places in the world where you can see the orang-utan in the wild. Many tours operate here that could allow you to spot one of these apes swinging amongst the trees. There’s also The Sepilok Orangutan Rehabilitation centre where you can be guaranteed to see them. The Komodo dragon meanwhile is the world’s largest (and most lethal) lizard, indigenous only to Komodo island and the few other islands nearby. You can take tours from Bali to Komodo island where you can spot these giant killer reptiles. South East Asia also has a long and rich history. From ancient empires to modern regimes, there’s plenty of history to explore through the region’s museums and monuments. The region is home to a number of vast and historic temples, the largest and most famous being Angkor Wat in Cambodia. Indonesia is meanwhile home to Borobodur and Prembanan that are almost as huge and equally as striking. As for colonial history, Malaysia’s Melaka is a fascinating example – once a popular trading port, it boast historic architecture influenced by the Chinese, the Japanese, the British and the Dutch. Singapore and Luang Prabang meanwhile have their own equally fascinating colonial style. 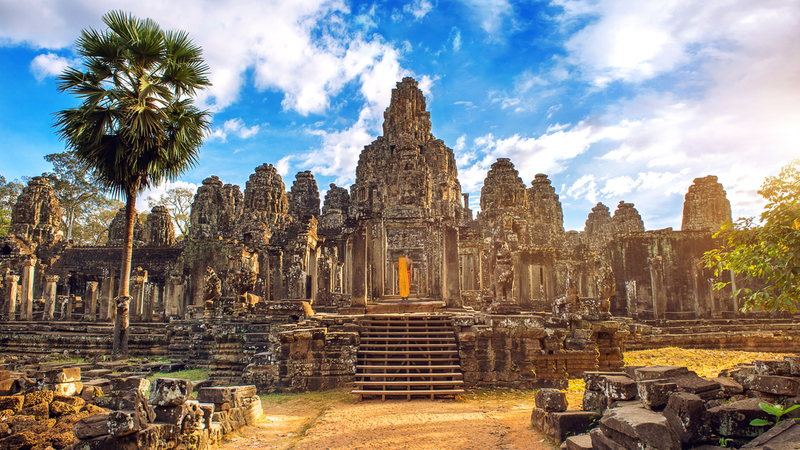 More recently, South East Asia has also allowed tourists to explore it’s dark 20th century history, including tours of significant places in the Vietnam War and The Khmer Rouge Killing Grounds in Cambodia. This could be a great opportunity for tourists wanting an educational and humbling trip. This part of the world is also home to some incredible cities. Here you can absorb the culture of each country at its most intense including going shopping, dining out and attending local festivals. Some of the more modern and developed cities include Singapore and Kuala Lumpur. Here you’ll find epic skyscrapers such as the Petronas Towers and Marina Bay Sands. Such cities are popular business capitals and have become playgrounds for the rich and famous. Cities such as Hoi An and Melaka meanwhile offer a greater mix of tradition and modern life, offering historic buildings and authentic street markets. Those wanting a more peaceful retreat may prefer these cities for their more laid-back feel. The food of South East Asia is renowned around the world. This is the place to go for authentic Phad Thai, Satay chicken and noodle curry. There are also plenty of unusual foods to try in this region. Those daring enough can try durian – the world’s smelliest fruit. BBQd grasshoppers are meanwhile a popular street snack across much of the region. Of course, those that are less adventurous can still find plenty of foods to eat. Many of the cities are cosmopolitan and have restaurants for eating non-spicy western foods. South East Asia is also renowned for its liberal nightlife. Many of the cities such as Jakarta and Bangkok are party capitals – here you can find swanky rooftop bars serving some of the regions most famous cocktails. Those wanting nightlife on the beach can meanwhile attend the full moon party at Thailand’s Ko Pha-ngan or crawl the beach bars of Bali. 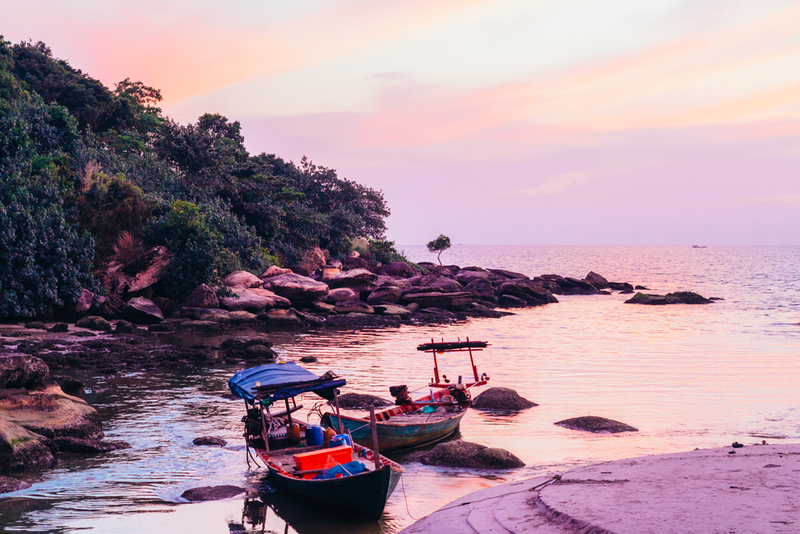 Not all of South East Asia’s nightlife is as wild and those wanting a more relaxed ambience can try the likes of Koh Rong in Cambodia. Flying to South East Asia from the UK isn’t cheap, but once you’re there everything is very affordable. Some cities such as Singapore are slightly more upmarket, but the majority of the region is ideal for those on a budget. Accommodation is relatively cheap as demonstrated by this condo Pelangi Damansara in Malaysia. Getting around meanwhile is easy to do on a shoestring if you stick to tuk-tuks and buses as opposed to taxis. Meanwhile food and drink is very affordable – especially if you stick to local beers and eat mainly street food. South East Asia is becoming increasingly more westernised. Prices are slowly going up and some of the traditional culture is on its way out. This is good news for the locals – the more developed each country gets, the wealthier the population gets. However, it could mean that for tourists that some of the magic disappears as the difference in culture narrows. Consequently, if you’ve been thinking of visiting this subcontinent, now could be the time to start making plans.